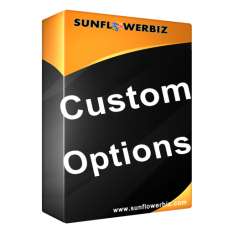 The sunflowerbiz Custom Options extension allows you to set custom options for each product which you can upload images for each option or option combinations and also you can set separate price for each option. It supports various options and it is quite flexible to configure which you can add/edit your own tabs of options, tab titles and option titles. With this powerful Custom options extension, you can upload different product image for different angle view. You can set different tabs to display options for each product. 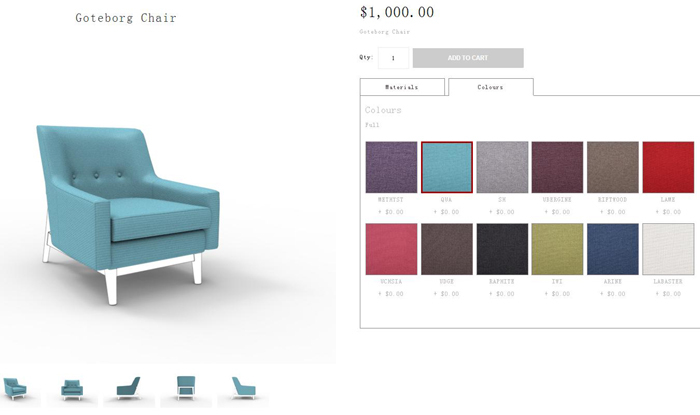 You can upload different product image for options like colors, materials, etc. You can also upload different option image for parts of product. Upload multi product images for different angle view. 1. 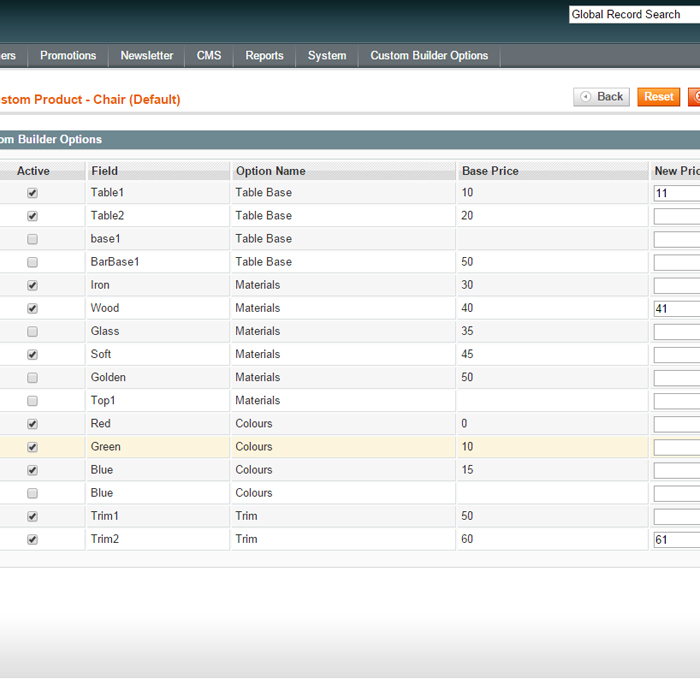 Create Tables, Options and Positions in in system->catalog->Custom Builder Options. 2. 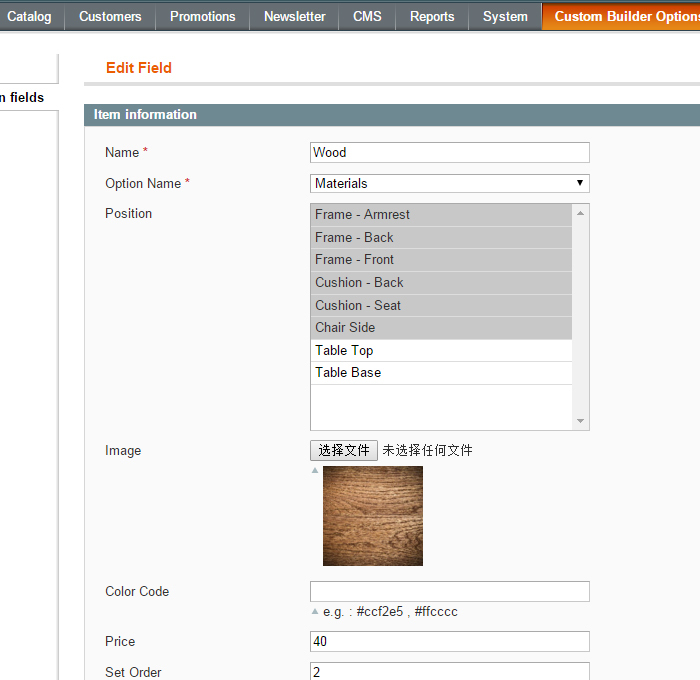 Add Option Fields in admin->Custom builder option->Add/Manage field- All positions are related to the field instead of product. If you want to add new position, you need to assign new position to existing option fields. 3. 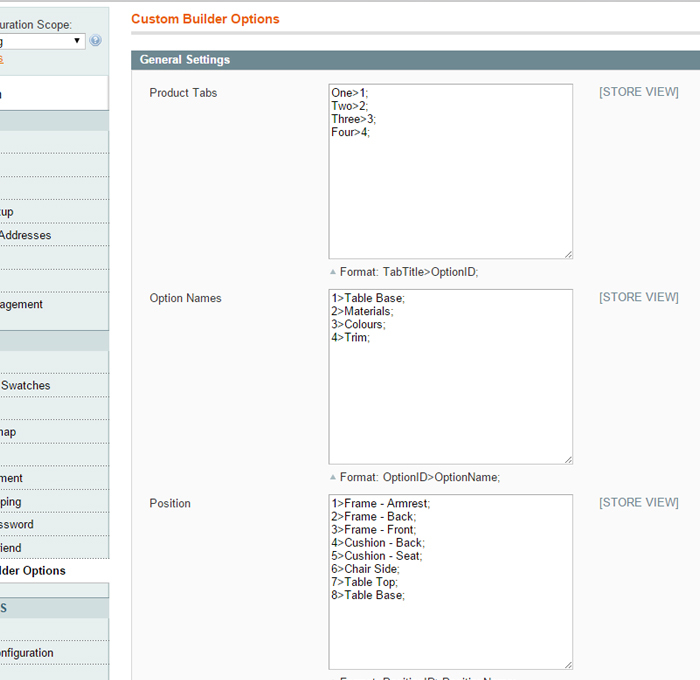 Assgin options to product: Go to product manage page-> Custom Builder Options tab where you can choose attributes associated with the product. Click Save after change. 4. 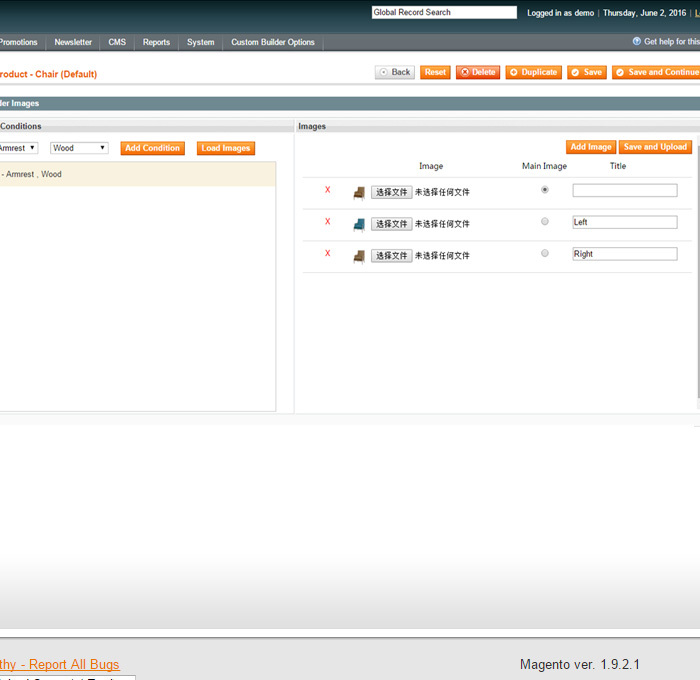 Add images to product: Go to product manage page. You will find custom builder images tab. Then select combined conditions and click load images to upload images for the conditions. After you add conditions and load images, you will see a button 'add image' on the right to upload as many images as you want. You can choose which one to display as main image and others will display below. -Upload folder /app/ and /media/ to your site.